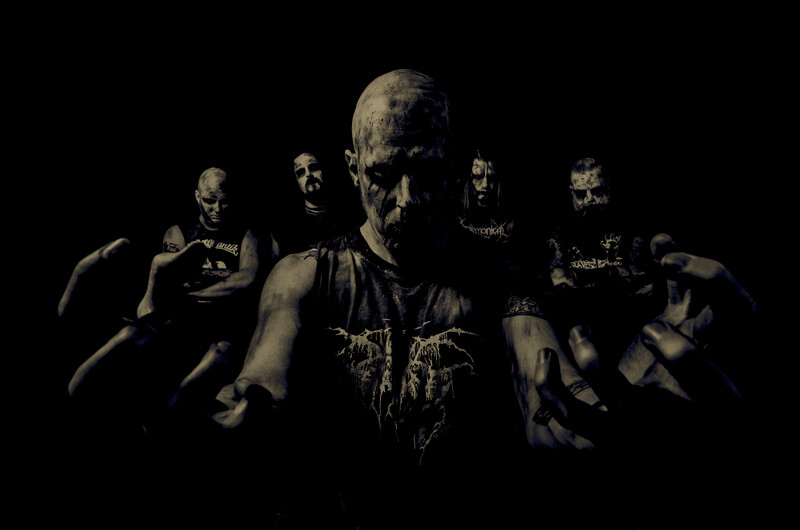 THE UGLY was formed in late 2004 in Stockholm, Sweden by Ingemar Gustafson (vocals) and Johan Eriksson (guitars), for the purpose of creating furious and relentless black metal with roots in the bands that put Sweden on the world map in the 1990’s. They were soon joined by Peter Jonsson (bass) and drummer Henrik Östensson. In 2006 Per Rinaldo was recruited as an additional guitar player, and as the song writing progressed the band’s sound evolved and turned into a truly offensive form of black metal. In May 2008, they entered the legendary Necromorbus Studio in Stockholm to begin the recording of their debut album, Slaves to the Decay. Slaves to the Decay was released on the 14th of November 2008 and was highly acclaimed across Europe, including marking a score of 9/10 in Germany’s Rock Hard Magazine. The following years were characterized by several lineup changes, and eventually THE UGLY was strengthened by bassist Joakim Antman (Decadence, Overtorture) and drummer Fredrik Widigs (Marduk) and all effort could be focused on writing the sophomore album which would become Decreation – a blasphemous effort with themes revolving around the destruction of the universe, cosmicism and Lucifer. It was recorded in 2014 with mixing being handled by Devo (Marduk) at Endarker Studios, leading the band straight to signing a record deal with ViciSolum Productions in early 2015.